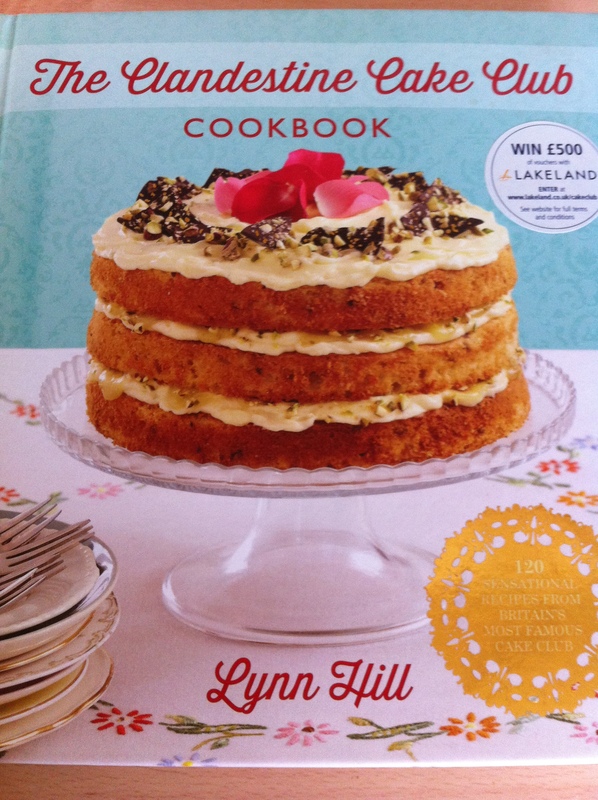 I’m still excited about the launch of the new Clandestine Cake Club cookbook and can’t praise it enough. Now I’ve got my copy I can’t wait to try my hand at everything in the book. It’s difficult to know where to start though as all the recipes look fab. I thought I would start with a recipe of a cake that I’d actually been able to taste before as made by it’s creator! 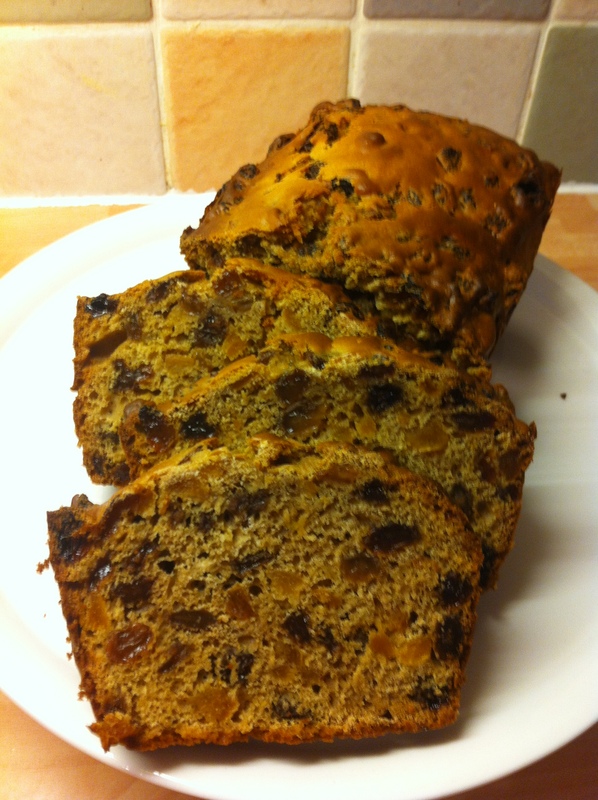 I went for the “Overnight Tea Loaf” on page 66 in the Fruity Cakes section of the book. 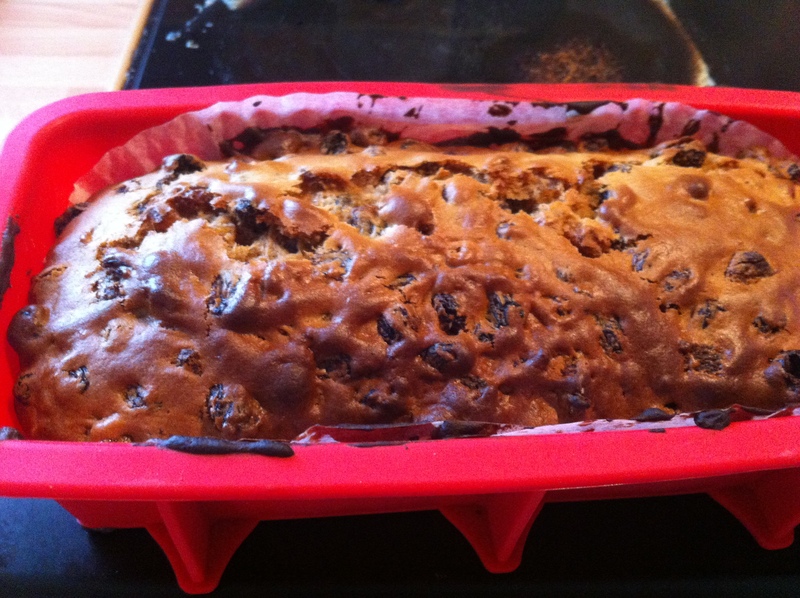 The tea loaf recipe was created by Sharon Clarkson who is the organiser for Pudsey and West Leeds CCC. She brought her cake along for the shoot we did for BBC Look North a week last Friday (more about that here) and another to the Leeds Clandestine Cake Cookbook Book Launch which was last Tuesday. I have written another blogpost about that event, as well. Sharon has her own blog humbugshouse.wordpress.com where you can find out about her Fruit loaf recipe, her other delicious bakes and about the Pudsey CCC. 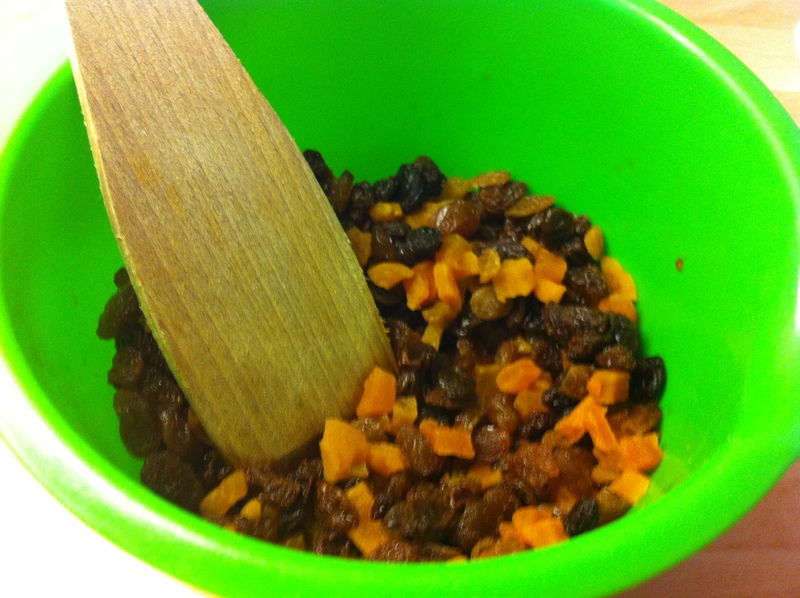 Sharon told me that she varied the dried fruit in the recipe, the first one she made had cranberries in it, the second had dried apricots along with all the other dried fruits like raisins, etc. Her other great tip was to serve the cake with butter or even a wedge of Wensleydale. As a cheese lover, I was looking forward to eating this with the cake. However, when I served up the cake later on, my two children slathered their pieces with the last of the Nutella lurking in my baking cupboard! That wasn’t meant to happen! 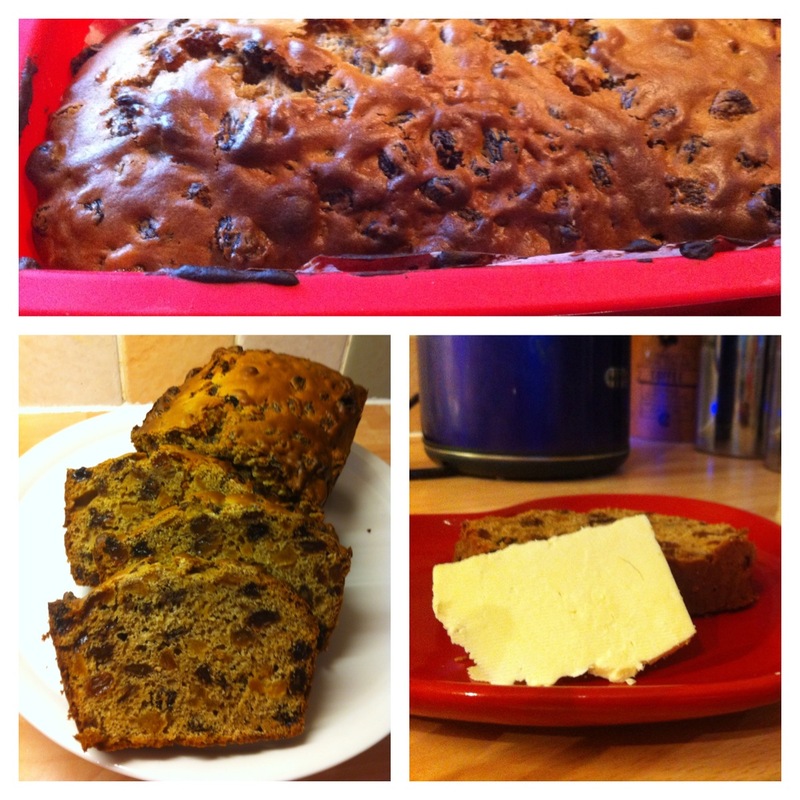 I have made tea loaves before and likened the tea loaf to the utterly delicious Welsh Bara Brith which I am addicted to. It also brings back special memories of holidays in Wales as well as my four years at teacher training college in Bangor in the early 1990’s. But being as I have spent half my life in Yorkshire I always make my tea loaves with gold old Yorkshire Tea. What is more not only is it the only tea I will drink if I have a choice but Yorkshire Tea are sponsoring the Clandestine Cake Club this year! So, down to the actual cake baking then! On Sunday afternoon I had been baking a Boston Cream Pie which was not for us at home but wanted something we could have at Sunday teatime or something the kids could have a slice of after school. The fruit loaf ticked all the boxes. 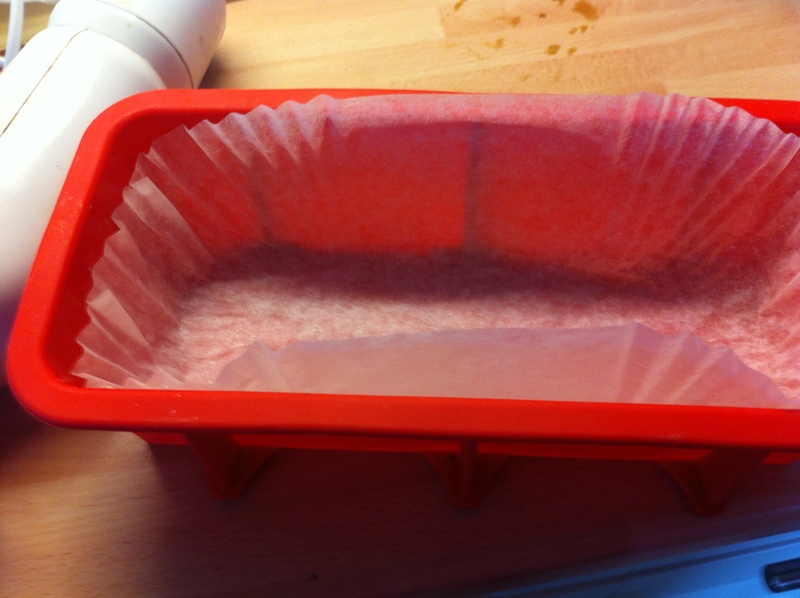 My loaf tin greased and lined. 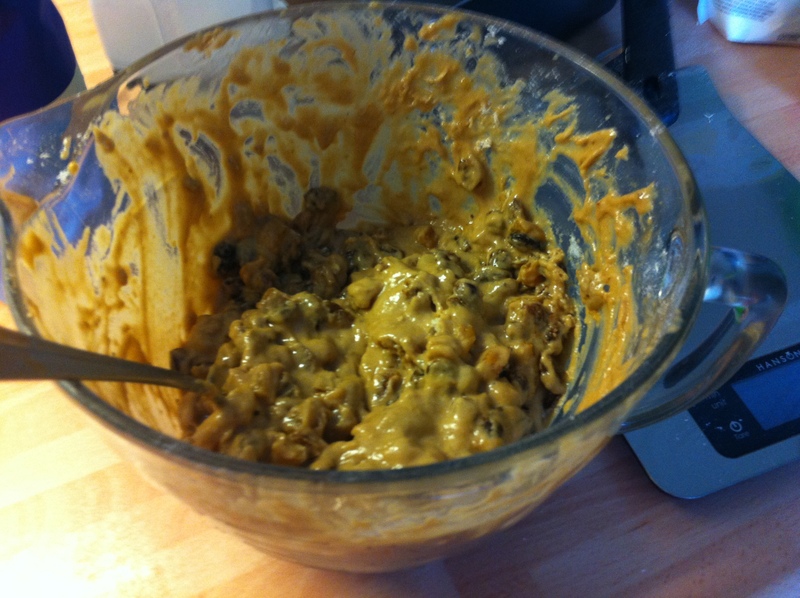 All the mixture (fruit, egg and flour) combined. This was a fatless recipe. Just out of the oven and cooling down after about 50 minutes baking time. Sliced up and ready for tea. 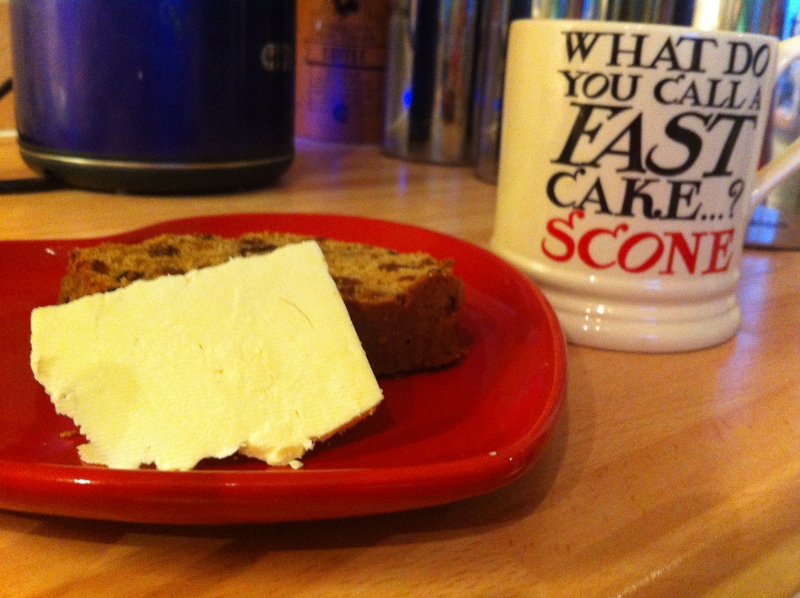 The way it is done in Yorkshire- a slice of Yorkshire Fruit Loaf, with a wedge of Wensleydale, washed down with a steaming hot cuppa of Yorkshire’s finest tea! As I am now having to watch my sugar intake, I allowed myself a small slice for tea with my sliver of cheese. It was perfect. Previous Post Clandestine Cake Club Cookbook Book Launch at Waterstones, Leeds- February 19th 2013.